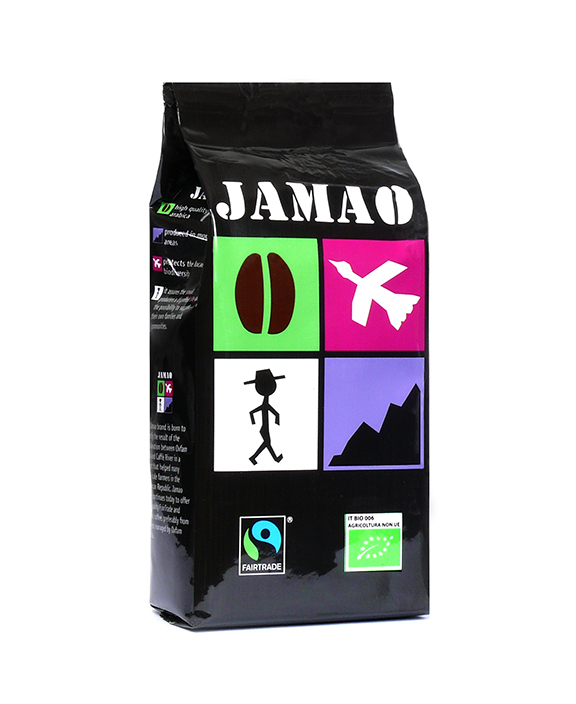 Jamao coffee, 100% Arabica, has a full-bodied, intense and persistent aroma, with a nutty aftertaste. The brand was born in the early 2000s when Caffè River cooperated with Oxfam Italy in a project that helped many small farmers in the Dominican Republic. The Jamao brand, even a "symbol" of the precious collaboration between the two organizations, today continues to offer high-quality coffee with Fairtrade and Organic certifications, preferably which come from projects managed by Oxfam Italy. Vacuum packed ground coffee 250 gr, 100% Arabica high-quality Fairtrade and Organic, coming preferably from Oxfam Italy projects.